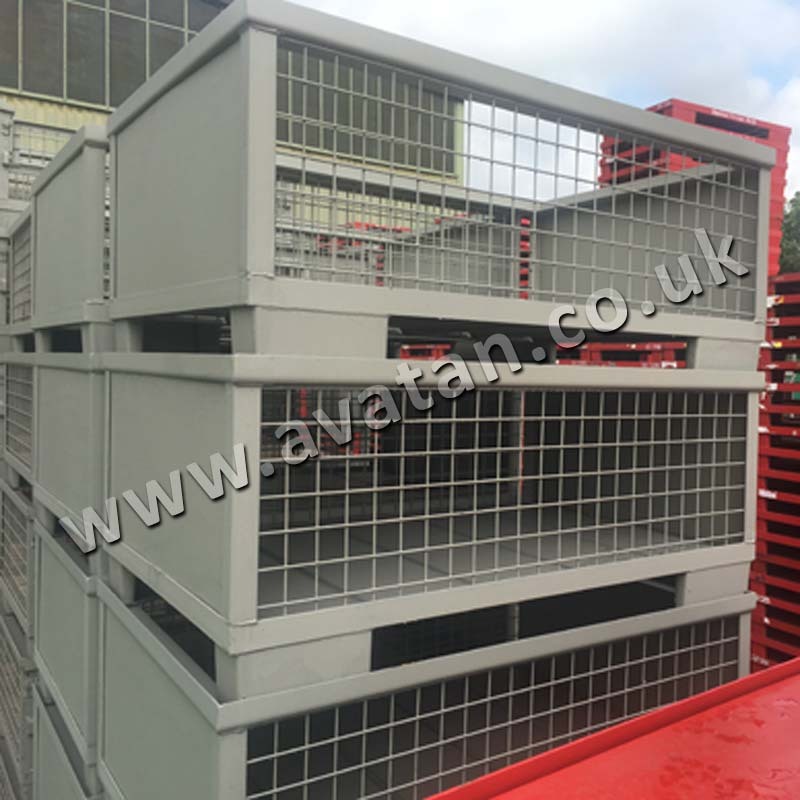 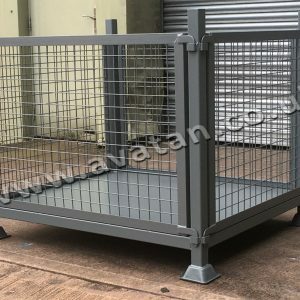 Cage pallets and steel stillages with mesh sides designed and manufactured to suit every warehouse and distribution need. 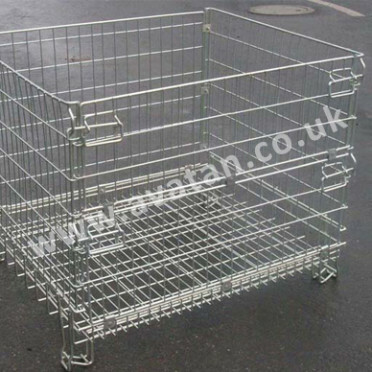 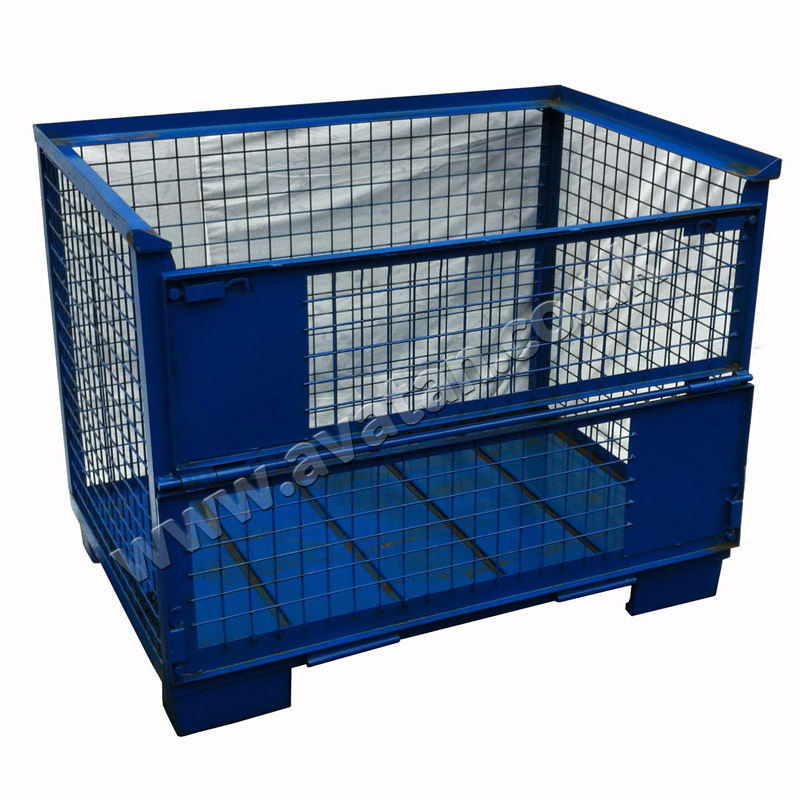 This range of stackable steel mesh cage pallets are manufactured with a sheet steel or mesh base. 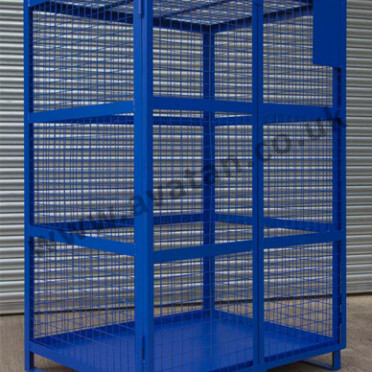 Robust and durable heavy duty stackable metal cage pallets are offered in all sizes and quantities. 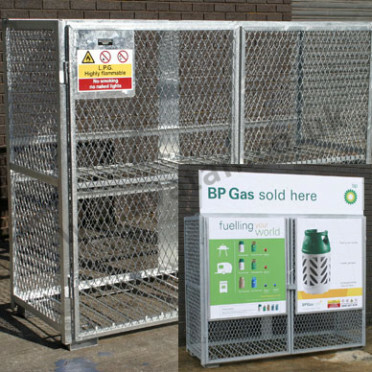 BP rigid metal cage pallets will have four fixed sides without gate. 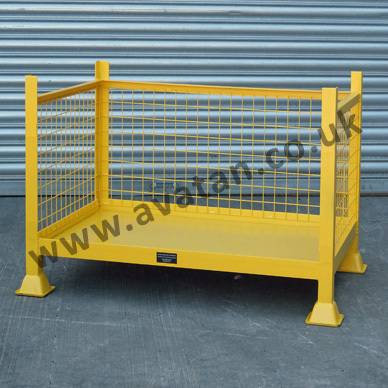 However, these stillages may also be fitted with removable gates or half drop hinging gates. 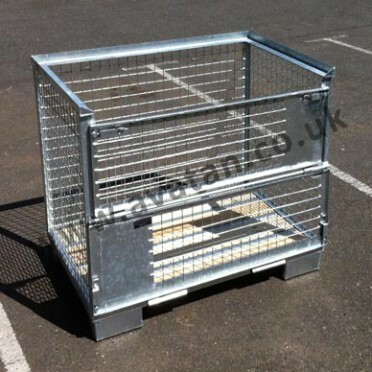 Fully collapsible folding cages are available in standard and bespoke sizes manufactured to order. 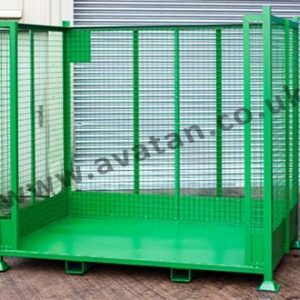 Stocks of Folding CubiCages and European style folding Gitterboxes, available for immediate despatch, are held in our Northampton storage facility. 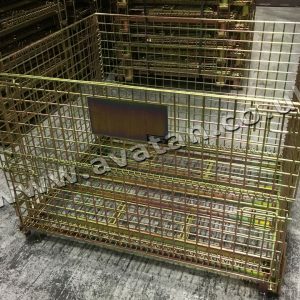 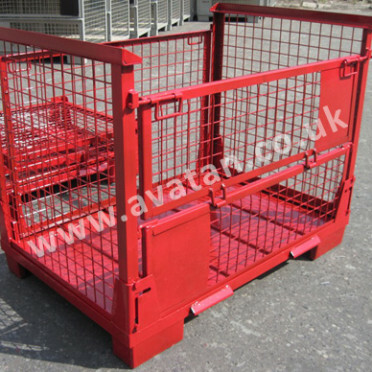 The standard Gitterbox Cage Pallet routinely used in the European pallet pool is also generally a stock item. 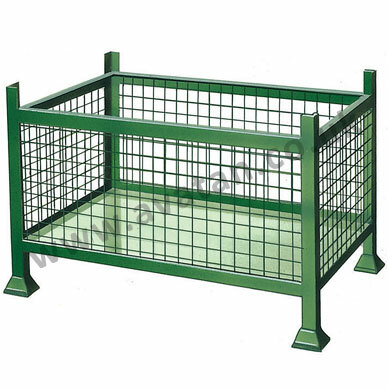 Secure cage pallets may be manufactured with hinging or removable lids. 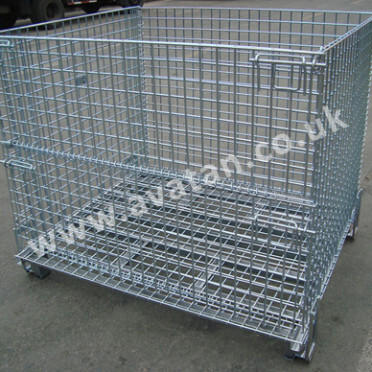 If you require storage specialists, let Avatan Handling Equipment be your solution. 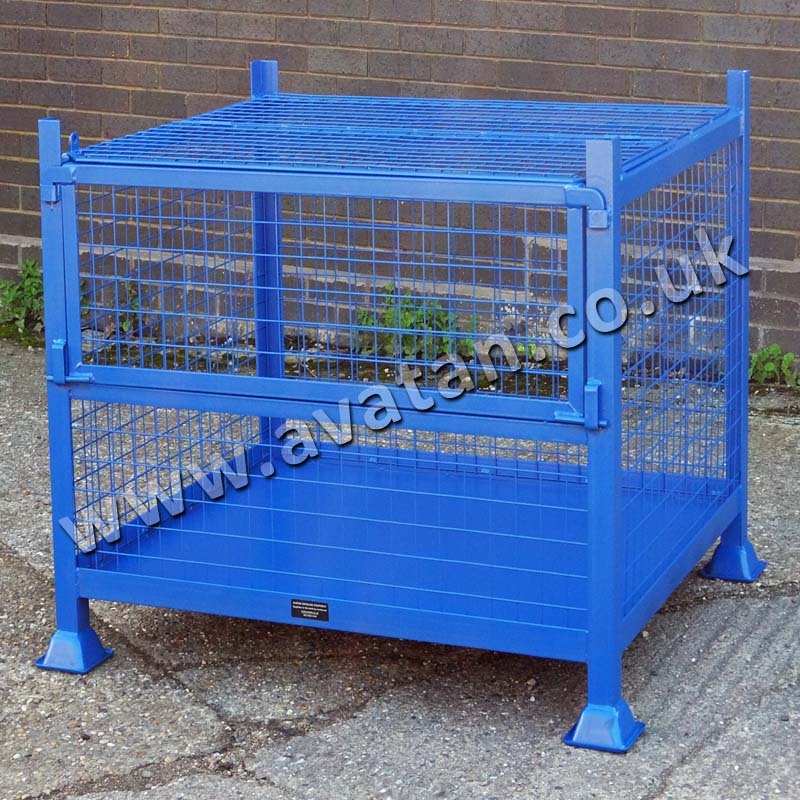 Call Avatan today on 020 8429 4444 or click here to e-mail us. 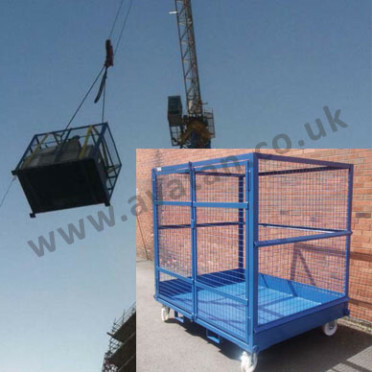 See also collapsible CubiCages which fold flat for empty storage and transportation. 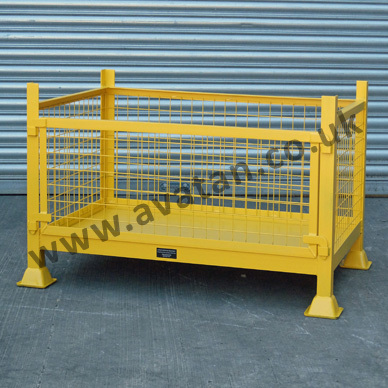 Steel Cage Pallets may be fitted with accessories to aid safety, handling and security. 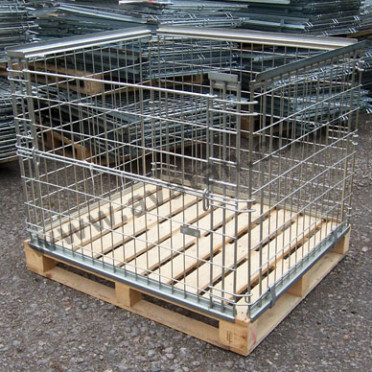 Fork loops or fork guides may be welded to the underside of the pallets to ensure the pallets are lifted safely. 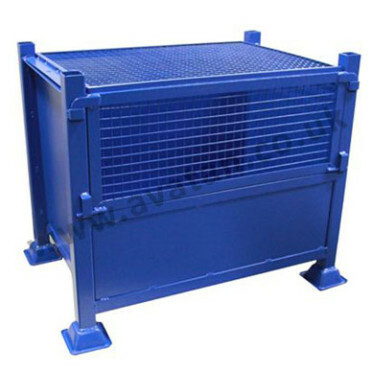 They may also be used to assist in inverting the cages using a rotating fork lift attachment. 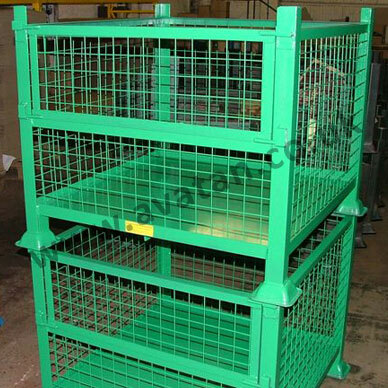 Lifting eyes may also be added for crane lift options, in which case a load testing certificate will be issued for each cage pallet. 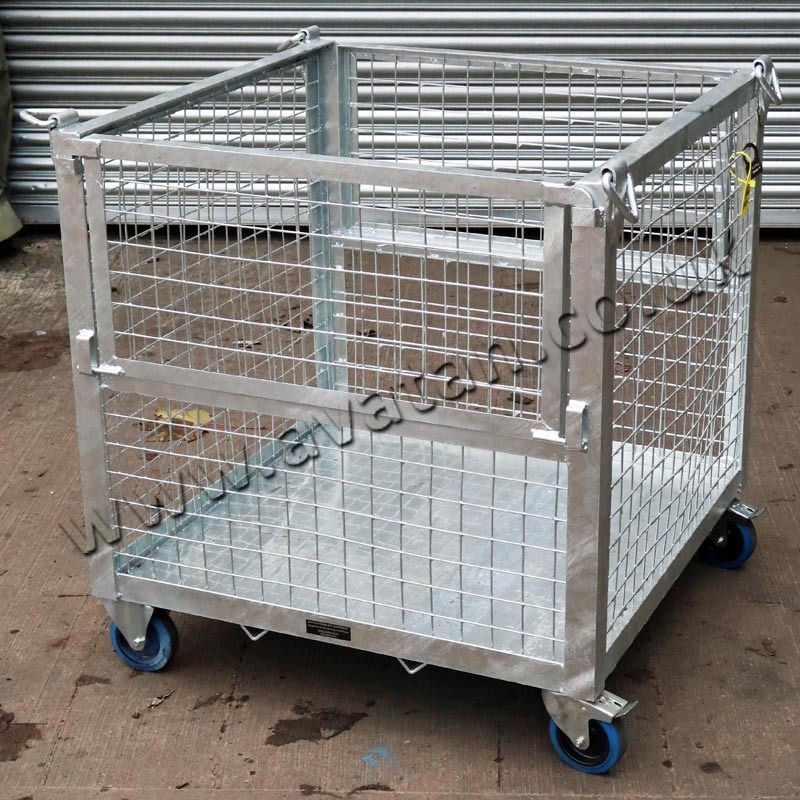 Commonly manufactured for 500kg or 1000kg uniformly distributed load per pallet stackable four units high, but may be designed and manufactured for heavier loads.